The Israeli authorities on Tuesday notified the demolition of a number of Palestinian residential buildings in Silwan town in Occupied Jerusalem. 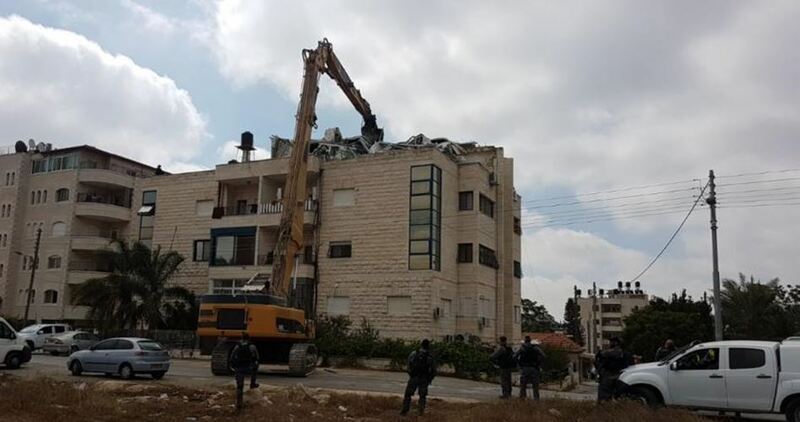 Fakhri Abu Diab, a member of a committee in charge of defending Palestinian lands in Silwan, said that Israeli municipality crews, escorted by the police, stormed al-Bustan neighborhood in the morning. The Israeli crews distributed demolition orders against 10 Palestinian buildings in Silwan, including Abu Diab's home, for allegedly being unlicensed. Abu Diab said that Israel is planning to wipe out the whole neighborhood, where 1,600 Palestinians live, to establish biblical gardens. 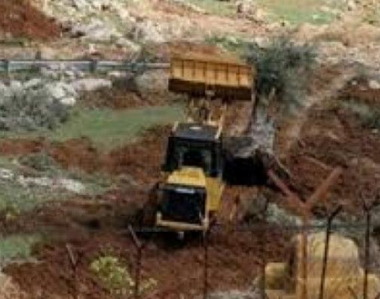 Ghassan Daghlas, a Palestinian official who monitors Israel’s illegal colonialist activities in northern West Bank, said the colonist invaded the lands with their bulldozers, and uprooted nearly 30 Dunams. Daghlas added that the colonists usually bulldoze and uproot the Palestinian lands before planting them, in order to take control of the properties. He also said that the uprooted lands are privately-owned by the villages, who have been denied access to them since the year 2006. The lands are surrounding by four illegal colonialist outposts, which were all installed on private Palestinian property. Israeli soldiers invaded, on Tuesday ay dawn, the northern West Bank city of Nablus, before abducting three Palestinians, in addition to confiscating several expensive lathe machines from a workshop. Media sources in Nablus said the soldiers invaded the eastern area of the city, before abducting Fadi Abu Hadrous, from the Old Askar Refugee Camp, and to Sa’id Ja’far Dweikat, from the Housing Projects area, after invading their homes and violently searching them. The soldiers also abducted another man, identified as Sultan Abu Mustafa, after stopping him at Huwwara military roadblock, south of Nablus. 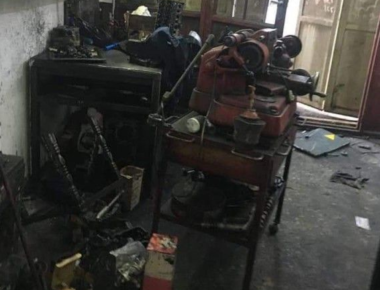 In addition, the soldiers invaded a lathe workshop, owned by As’ad Nasrallah Shamla, and confiscated seven machines, with the estimated cost of $250.000 to 300.000, and added that this was the second time the soldiers invade, destroy and confiscate the workshop’s machines since the year 2007. As’ad added that this attack targets the only source of livelihood of seven families. 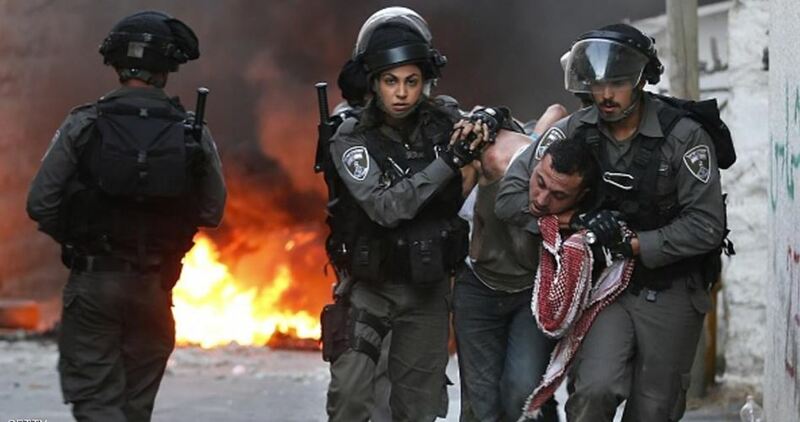 Dozens of Palestinians were arrested at dawn Tuesday during large-scale raids launched by the Israeli occupation forces (IOF) in the West Bank. 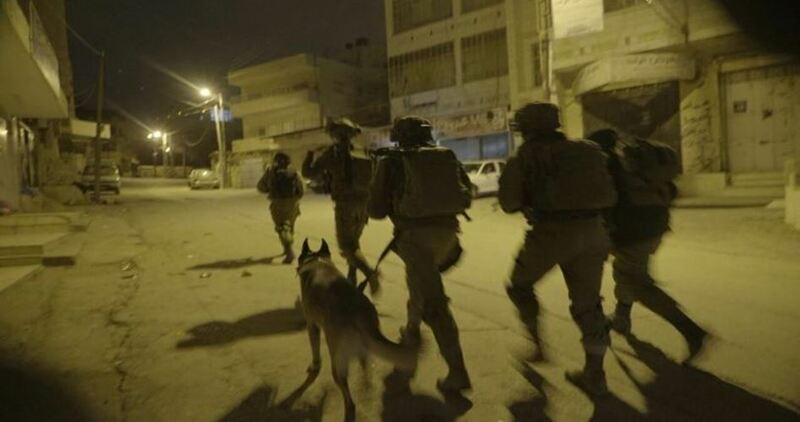 Local sources said that the IOF stormed Nablus and arrested two Palestinian young men after raiding their family houses. The IOF raided Balata refugee camp, searched Palestinian homes, and seized a sum of money. The IOF late on Monday arrested a Palestinian youth while he was passing through Huwara checkpoint south of Nablus city. At the same time in Jenin, dozens of IOF soldiers stormed Ya'bad town and Jenin refugee camp and arrested six Palestinian citizens. Four Palestinians, including two minors, were arrested and had their homes searched during Bethlehem sweeps. Other campaigns were reported in al-Khalil where the IOF arrested two Palestinian ex-prisoners and raided a number of Palestinian homes. Israeli soldiers invaded, Monday, Yatta town, south of the southern West Bank city of Hebron, and ordered two families to halt the construction of their home, shed and water well. Rateb Jabour, the coordinator of the Popular and National Committee against the Annexation Wall and Colonies in southern Hebron, said the soldiers invaded the al-Jawaya village, east of Yatta, and handed the orders to Abdul-Mottaleb Hammad Nawaj’a and Mousa Hasan Shawaheen. He added that the properties in question are being built on private Palestinian lands, but the military has been denying the residents the right to build on their property. Jabour voiced an appeal to local and international human rights groups to intervene, and stop the illegal Israeli colonialist policies, aiming at forcing the Palestinians out of their lands to replace them with colonialist setters, and to use their properties for military purposes. 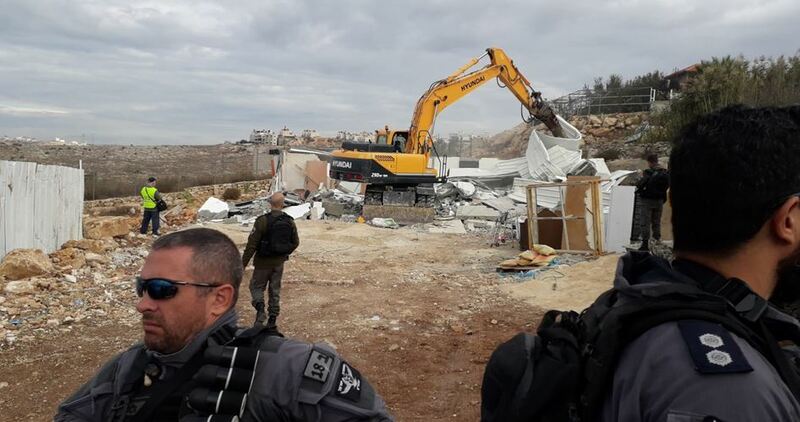 Israeli bulldozers on Sunday demolished an animal barn and other agricultural structures in the village of Beit Iksa, northwest of occupied Jerusalem. 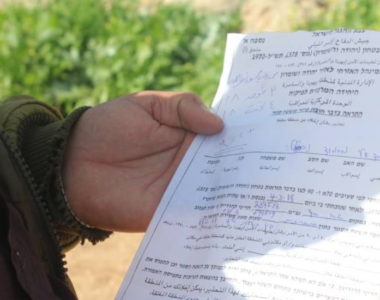 Bilbal al-Mashni, member of Beit Iksa village council, said that the targeted barns and structures belong to the Palestinian brothers Haytham and Ibrahim Abdul-Wahhab. He added that the soldiers prevented the locals from accessing the area where the demolition has been taking place. Israeli occupation forces regularly demolish Palestinian homes and structures in the occupied West Bank and Jerusalem under the pretext that they were built without permits. Beit Iksa, home to 2,000 Palestinians, has been increasingly subjected to daily violations and crackdowns by the Israeli military in an attempt to isolate it from neighboring Palestinian villages and force its inhabitants out of their homes. The execution office of Israel’s enforcement and collection authority has ordered a Palestinian family who owns an apartment building in Sheikh Jarrah neighborhood, east of Occupied Jerusalem, to evacuate five families living in there and turn over the property to Jewish settlers by January 23. 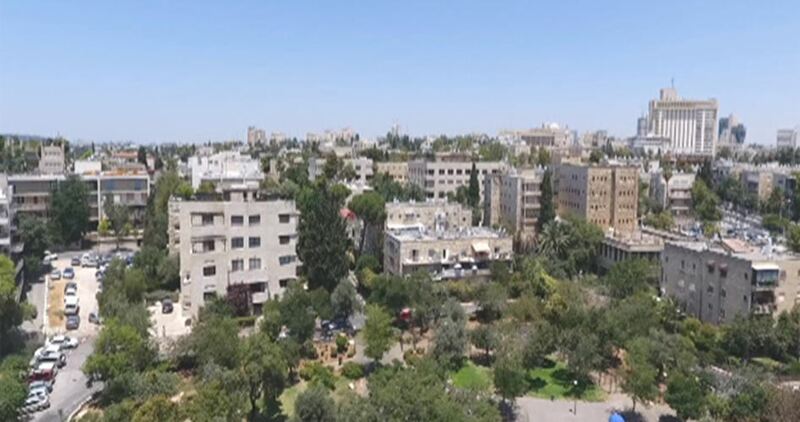 According to the Civic Coalition for Palestinian Rights in Jerusalem, al-Sabbagh family filed a law suit at the Israeli district court in Jerusalem in 2012 against the claim by settler groups that they own the land of the building in Sheikh Jarrah. Even though al-Sabbagh family provided the court with evidence proving its ownership of the land and that the setter groups’ land registration process done in 1972 was illegal and not correct and therefore their claim of ownership of that plot is null and void, the court ruled in favor of the settlers. The family, through its lawyers, appealed the ruling to the high court on November 15, 2018, which rejected the appeal and upheld the district court’s verdict. The family’s lawyers re-appealed the high court’s ruling by asking for a five-judge panel instead of three, and this was rejected as well, which left the eviction of the five families imminent, the Civic Coalition said. The Israeli occupation forces (IOF) at dawn Thursday kidnapped at least 20 Palestinian citizens from their homes in different West Ban areas. 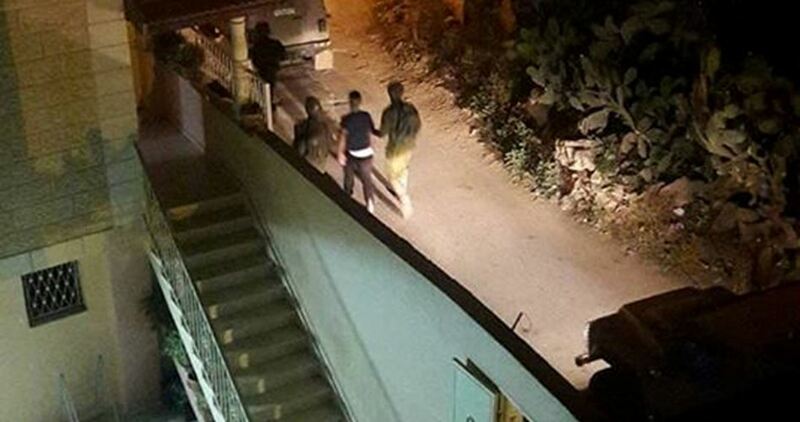 In Qalqilya, the IOF kidnapped four Palestinian citizens from their homes in the town Kafr Qaddum and Azzun. Two teenagers were also kidnapped from their homes in Kafr Ni'ma town, west of Ramallah. Clashes reportedly broke out between Palestinian youths and Israeli soldiers in Jenin city and its refugee camp, north of the West Bank. One young man suffered a rubber bullet injury and many others suffered from their exposure to tear gas fumes. Local sources in Jenin refugee camp told a reporter for the Palestinian Information Center (PIC) that Israeli soldiers stormed and ransacked the house of Sheikh Bassam al-Saadi and rounded up his son, Yehya. The IOF also broke into the house of Nidal Zaydan in Jenin city, interrogated his father for hours before kidnapping the former from an area in the city. Another young citizen called Munadel Nufay’at was taken prisoner during a raid on his home in Ya’bad town, south of Jenin. Four other citizens were kidnapped from their homes in al-Khalil province and a sum of money were confiscated during an IOF campaign in al-Khalil city. In Nablus, the IOF stormed Madama town and confiscated two cars belonging to ex-detainee Ammar Qut and his father. 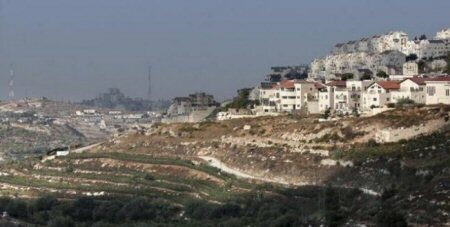 The Land Research Center in occupied Jerusalem has reported that the Israeli Ministry of Finance has authorized a plan to illegally annex nearly 139 Dunams of Palestinian lands in Dir Dibwan village, east of the central West Bank city of Ramallah, to build new colonialist structures and segregated roads. 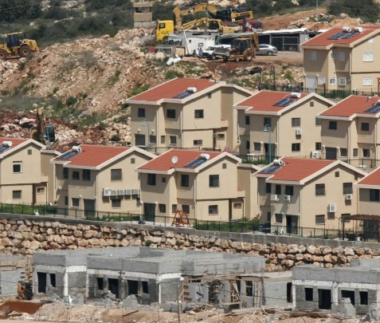 The Land Research Center said the new plan aims at building the structures on privately-owned Palestinian lands in basins #32 and 33 of Dir Dibwan. It added that the detailed plan aims at linking Ma’ale Mikhmas colony with Mitzpe Dani outpost, which were illegal installed on Palestinian lands. The center also said that the new plan allocates nearly 48 Dunams for public buildings for the colonists, in addition to 26 Dunams for paving news segregated roads, 15 Dunams to be used as a park, in addition to other lands that would be used for stores and parking lots. Israel’s colonies in occupied Palestine, including in and around occupied East Jerusalem, are illegal under International Law, the Fourth Geneva Convention and various international resolutions. Israeli soldiers invaded, on Wednesday at dawn, Beit Ummar and Surif towns, north and west of the southern West Bank governorate of Hebron, searched many homes and stores, and abducted a child, in addition to illegally confiscating cash. 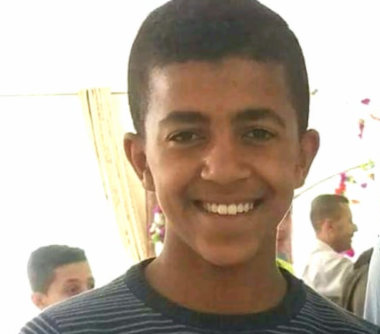 Several army jeeps invaded Beit Ummar town, north of Hebron, searched homes and abducted a child, identified as Yassin ‘Adel Za’aqeeq, 15. The soldiers also invaded Surif town, west of Hebron, stormed and ransacked many homes, and illegally confiscated cash from the home of Majed al-Hoor. In addition, the soldiers invaded and violently searched agricultural stores in Hebron city, causing property damage. The Israeli occupation has demolished at least 1,401 Palestinian residential units in the occupied West Bank and Jerusalem, between 2006 and 2018, an Israeli rights group has revealed. According to the rights group B’Tselem, Israeli demolitions caused have caused some 6,207 people, including at least 3,134 minors, to lose their homes. The Israeli occupation has repeatedly demolished homes of Palestinian communities unrecognized by the occupation state. From 2006 through 31 December 2018, the homes of at least 1,014 people living in these communities, including 485 minors, were demolished more than once. 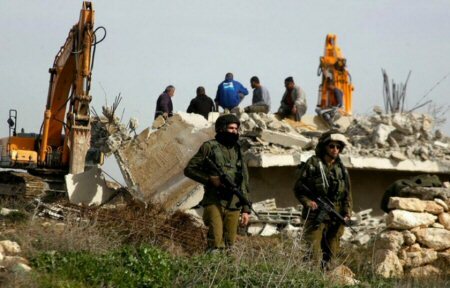 In addition, from January 2016 through 31 December 2018, the Civil Administration (the Israeli military body which controls the occupied Palestinian territories) also demolished 630 non-residential structures, including fences, cisterns, roads, storerooms, farm buildings, businesses and public buildings in the occupied West Bank alone, Days of Palestine reports. The paper reported, according to Al Ray, that the government allocated about 1,200 dunams (300 acres) for the plan. 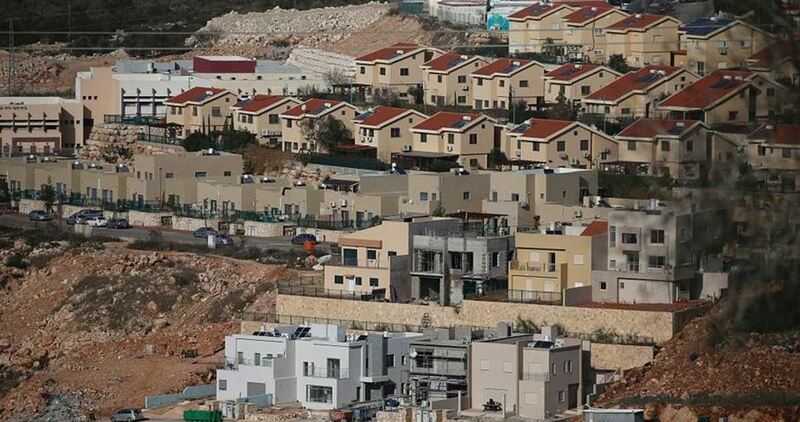 The neighborhood is expected to expand the built-up area in the Gush Etzion settlement bloc up to the southern outskirts of the Palestinian city, in a manner that would surround Bethlehem with settlements. 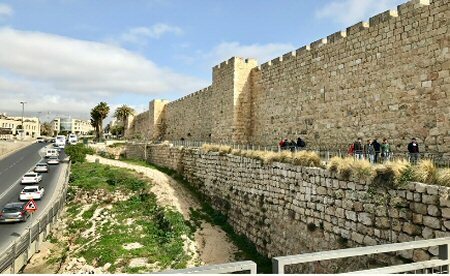 A Jerusalem municipality member advanced, on Sunday, a suggestion to demolish the historic wall of Jerusalem’s Old City district, under the pretext of easing the traffic crisis. Israel Hayom news quoted King as saying that the wall was built in the 16th century, by one of the Ottoman caliphs, to protect Jerusalem from war, and it is no longer needed, as well as being the cause of a severe traffic crisis. He added that the wall could not be considered sacred and historical; therefore, it can be fully or partially removed, in order to solve the traffic crisis. The Ministry of Foreign Affairs and Expatriates condemned Israeli Judaizing policy of the holy city, warning of extremist settlement organizations’ plans against Jerusalem and the Old City district, located in occupied East Jerusalem. The ministry called, in a statement, on the Arab and Islamic world to hold to its responsibility toward protecting the holy city and calling upon them to not view the Israeli violations in Jerusalem as abstract numbers and things that have become commonplace and familiar. He stressed the need to implement the resolutions of the Arab and Islamic Summits on Jerusalem, especially regarding the provision of the steadfastness of the Jerusalemites, in the face of the forced displacement that they are subjected to, as well as the effective action to protect Jerusalem and its holy sites. It also called upon the international community and the United Nation to take urgent actions to stop Israel’s Judaization plans and to force Israel to abide by international legitimacy and its decisions, first and foremost the resolutions on Jerusalem. The walls of Jerusalem and the Old City were added, in 1981, to the UNESCO World Heritage Site. They were built during the reign of Ottoman Sultan Suleiman I, between 1535 and 1538. The walls surrounded the Old Town of 4,018 meters, with an average height of 12 meters and a thickness of 2.5 meters. According to Al Ray Palestinian Media Agency, Israeli occupation authorities used the walls to observe and to control the entry and exit of Palestinians through eight historic gates.